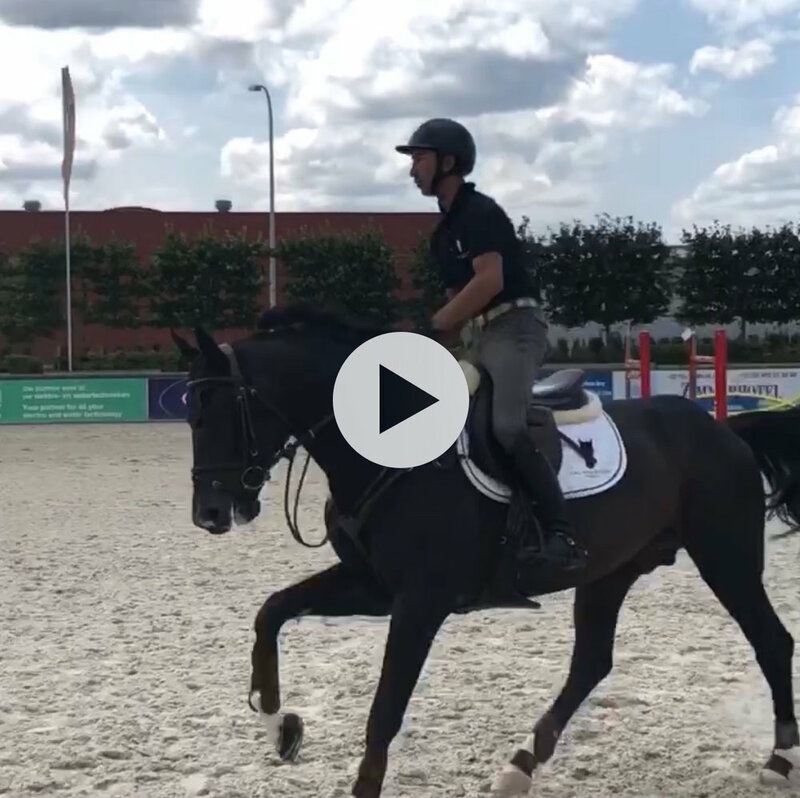 Wellington, Fla. – July 20, 2018 – Gallagher/Meller Sport Horses is thrilled to announce that six of their top European competition horses have moved to Tal Milstein's top-notch training facility, TMS Stables, located in Asse, Belgium. The team is looking forward to the progress that will be made with E2 Show Jumper's Karina, Cazador La Silla, Arena Z, Quilimbo, Iceman De Muze, and Little Beach under Tal Milstein's unparalleled training, care and management. Founded by Katherine Gallagher and Michael Meller, Gallagher/Meller Sport Horses is dedicated to sourcing and developing talented young horses to the highest levels in the sport of show jumping and competing them at the finest horse show venues across the United States and abroad. Tal Milstein has made his mark on equestrian sport after he learned to ride in his native Israel. Milstein mastered his technique in the saddle under some of the biggest names in the show jumping industry including Albert Voorn, Jos Kumps and Nelson Pessoa. Soon after, he relocated to Europe in an effort to expand his business, TMS Stables, to focus on trading horses. Today, Milstein buys and sells horses all over the world and is highly-respected in the community for those looking to purchase talented show jumping mounts. The fitting partnership between the Gallagher/Meller Sport Horses operation and Tal Milstein made sense as both teams are dedicated to bringing along top show jumping talent through the ranks while ensuring that all horses receive the highest-quality care, a rigorous training regimen, and a program tailored specifically to each horse's needs and individual personalities. As extremely proficient horsemen and women, Gallagher, Meller and Milstein aim to bring out the very best in each horse and maximize their potential. TMS Stables specializes in the training and trading of high-end show jumpers for all levels of the sport. Milstein and his experienced team are known in the industry for "combining experience and precision to bring riders and horses to excel up to the Grand Prix level." In addition to top-tier training and trading sessions, the operation also specializes in breeding from embryos to proven stallions, all of whom have exceptional bloodlines. "I was very happy to receive the phone call from Michael and Kathy asking me to take his horses under my care," Milstein said. "The first time I noticed the horses was in Lanaken at the World Championships for Young Horses. Michael had one good horse after the other, and I quickly realized that he really knows his job and how to choose a horse. Since then, I was constantly asking about the horses, and I am so happy that six of the horses are with me." Milstein concluded, "I'm very happy to start a collaboration with Michael, Kathy and their team, hopefully for many successful years to come." "We are so excited to have our horses based with Tal Milstein in Belgium. He is a world-class horseman and he will help take our business to the next level," Gallagher expressed. "These horses are truly ready to make their mark on the world stage, and I know that Tal is the man to help them do that. This is an wonderful partnership and our entire team is looking forward to what the rest of the year will bring together."